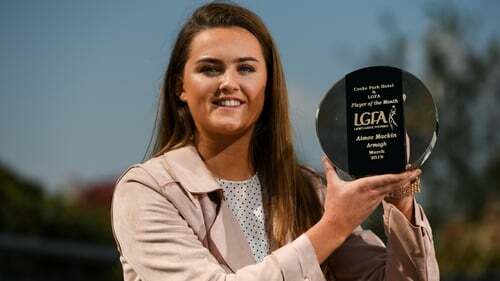 Armagh forward Aimee Mackin has been named as The Croke Park/LGFA Player of the Month award for March. Mackin, 21, from the Shane O’Neill’s club produced some sparkling displays during the month of March and Armagh have comfortably progressed to the Division 2 semi-finals in the Lidl Ladies National Football League. The Shane O’Neill’s club women also impressed for her college Ulster University Jordanstown in their march to the Gourmet Food Parlour Giles Cup title.